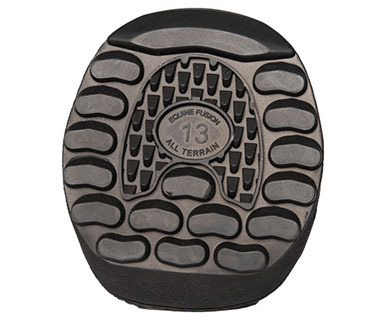 The All Terrain hoof boot was released in 2015 and is proving to be a very popular hoof shoe. 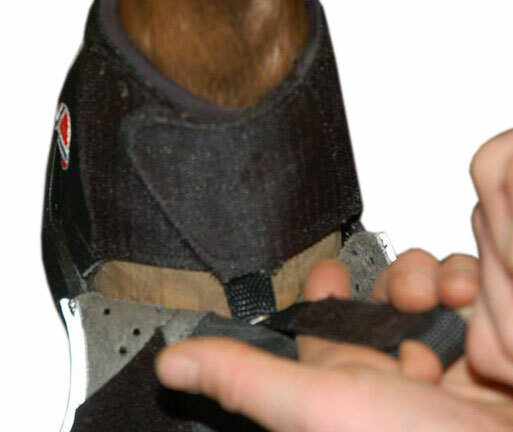 Made by Equine Fusion, a Norwegian company who strives to continually update their horseshoe range to provide the best boot for both horse and rider. They are made in Europe to high standards providing quality comfort and durability. 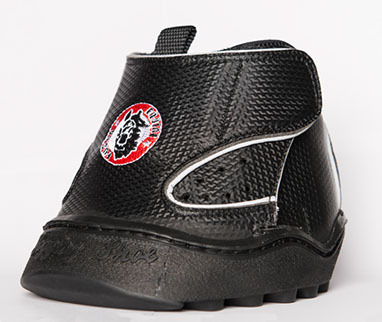 The All Terrain hoof boots are made of a carbon-look upper that is both stylist and durable. 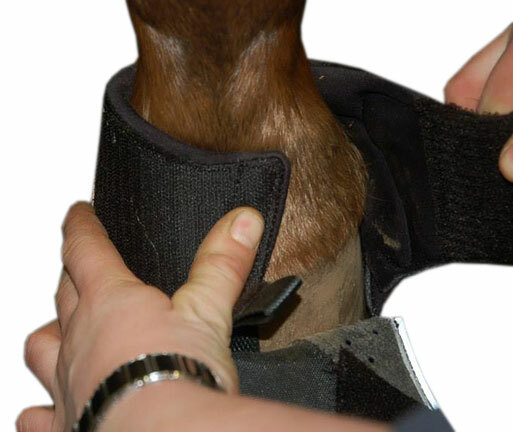 The velcro fastening system is double-locked making them very easy to apply and very secure on the hoof. 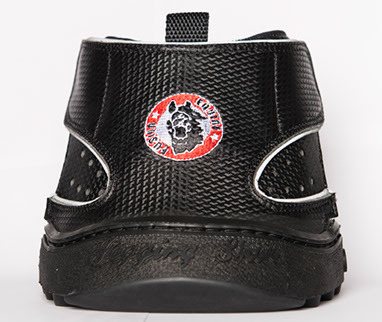 The sole has an aggressive tread pattern for off-road riding and is three times thicker than the other boots in the Jogging Shoe range making it extremely durable. 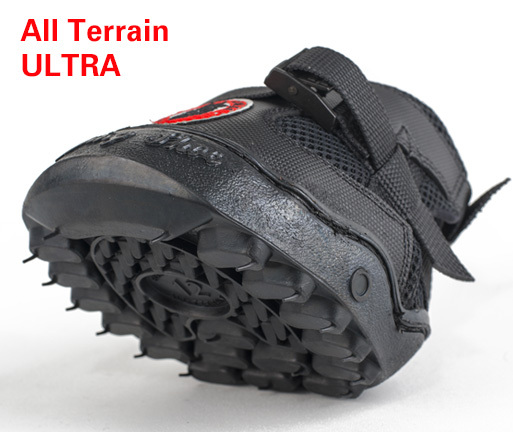 NEW: The All Terrain Ultra is now also available and it has the All Terrain sole combined with the Ultra upper. 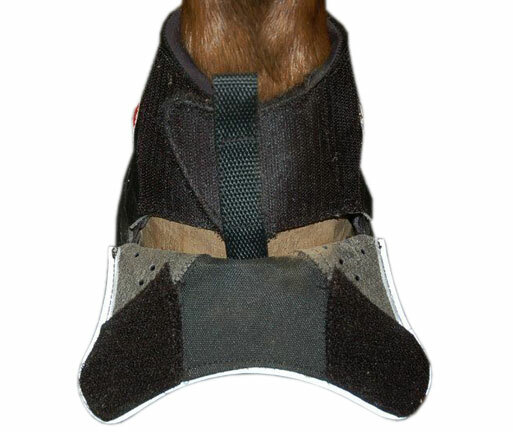 This provides a snugger fit around the pastern and helps prevent twisting on hard to fit hooves. They come in sizes 10-16 (including Slims), are black and sold in pairs. 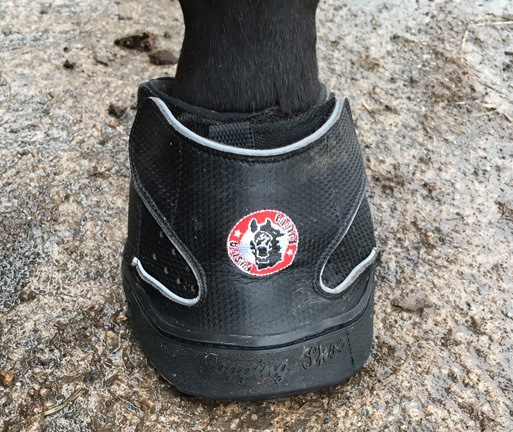 These boots come in a wide range of sizes so are suitable for mini hoof boots right up to medium-sized drafts. 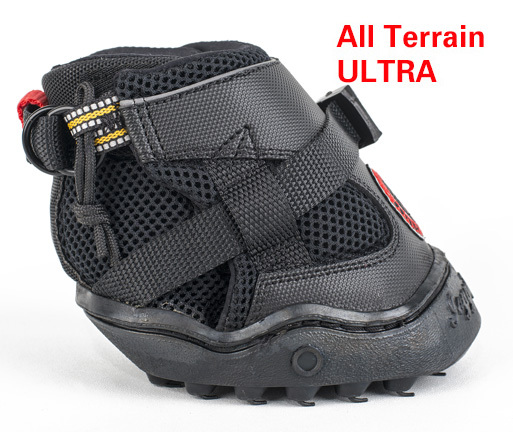 The All Terrain Ultras currently only come in sizes 10-16 (now with slim sizes). Please contact us if you need help with choosing the correct size. We are more than happy to help. 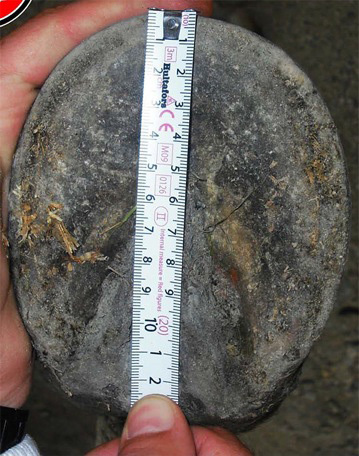 Please provide a photo of each hoof with a ruler in place - see example to left. Be sure to get the whole hoof in the shot keeping fingers away from the sole surface of the hoof. 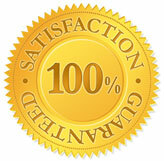 Let us take all the risk out of buying the equine jogging shoes via our "Money Back Guarantee". If you are not completely satisfied with the boots for any reason after trying them on your horse/pony for two, one hour rides you can send them back for a full refund (less the actual cost of shipping and handling). 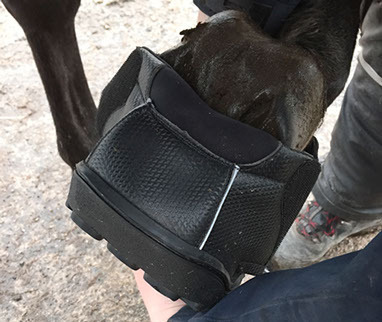 The Dampening Pad is an equine hoof pad that is specifically designed for use with the jogging shoes. It is just 4mm thick so does not affect the fit of the boot. They are made of a rubber compound that is very durable - these pads do not squash down like the foam-type pads so last a very long time. 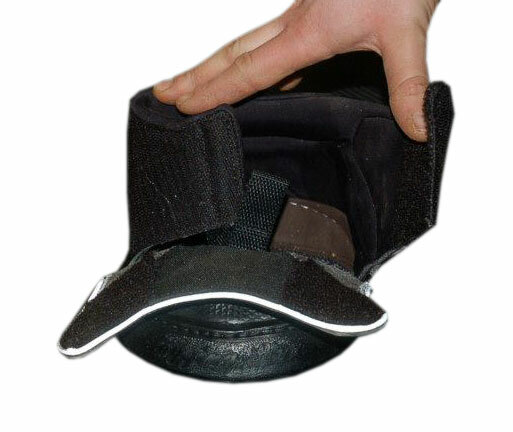 The Felt Pad perfect for adding comfort and wicking moisture away from the hoof. They also help stabilize the boot when the fit is not perfect. Grey. 6mm thick. 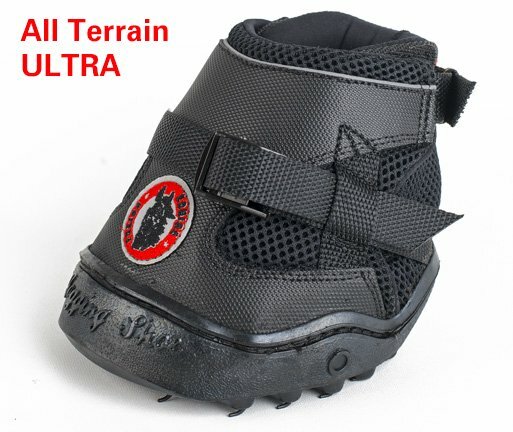 The All Terrain Hoof Boots cost $107.50 US / $148 CAN each ($215 / $296 per pair), the All Terrain Ultras cost $220 US / $300 CAN per pair, the Dampening & Felt Pads are $20 US / $24 CAN per pair and the Velcro Cleaning Brush is $7 US / $9 CAN. To place your order click here. For more detailed information on these boots click here. We use our Jogging boots mainly for riding in a stoney river bed, in and out of the water! Appie was pleasantly surprised the first time he wore them and the stones didnt hurt his feet! Could even have fun trotting! He seems to love them! I have a horse that is quite sore footed due to navicular, thin soles, and stretched white line area. The boots have been fabulous. I use a pad inside to cushion his feet a bit more and he is able to walk out and about for around an hour and one half. I have tried Boas and custom Horse Sneakers but both these boots are clumsy, rub or bruise his foot. The jogging shoe is easy to put on, light weight, doesn't twist or rub. Love them. I recently put my mare in Epona shoes because she just wasn't transitioning well to barefoot after a year and a half. I don't nail the shoes on, I glue them and sometimes the glue fails. It is quick and easy to stick the shoe in the jogger and she is off and running! I have used them a lot! In fact, I think I will be ordering some more soon. They are versatile, tough and easy to use. They clean up well, dry quickly when they get wet and I have never, ever had one come off!